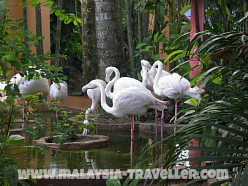 Langkawi Bird Paradise Wildlife Park is basically a small zoo with an emphasis on birds. 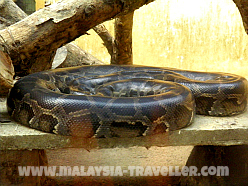 I went there with low expectations as I know that some privately owned zoos in Malaysia do not follow world best practices when it comes to providing humane conditions for their animals. In the end it was probably better than I expected though parts of the zoo are in need of upgrading (for the sake of the creatures). The one-way path zigzags methodically through the park so that there is no chance of you missing anything. 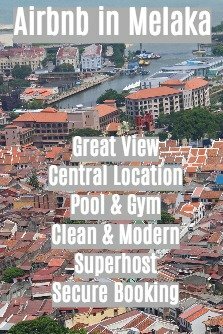 It is compact in size and design so you do not have to walk miles. 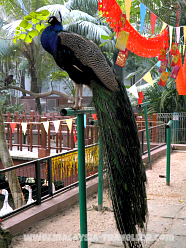 You are allowed to feed many of the birds and animals (bags of food are on sale). Both the animals and the visitors seem to enjoy the feeding interactive experience. 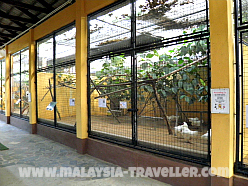 The budgerigar enclosure is spacious enough to allow the budgies to fly freely. They might land on you if you feed them. 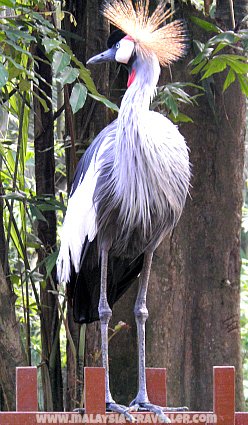 The walk-through free-flight aviary is quite large (though not in the same league as KL Bird Park) and has been landscaped with tall trees, a lake and a man-made waterfall. The Kids' Zone has ostriches, emus, donkeys and a nice rabbit enclosure. The crocodile enclosure looks too cramped and bare. 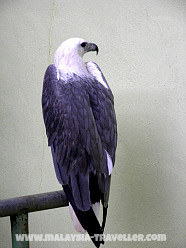 The monkeys and birds of prey really need much more space and more natural surroundings. 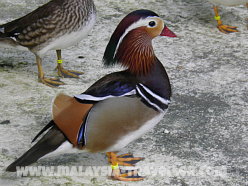 Some of the birds and mammals are in old style cages with fine mesh which do not allow you to take decent photos. This place is worth a visit and children especially will enjoy getting up close to the animals. These days many people do not agree with zoos on principle and believe that animals are better off in the wild. I can sympathise with that idealistic view but the sad reality of our over-crowded planet is that if our children cannot see animals in zoos they will never see them at all. 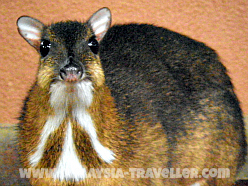 The chances for example of seeing this shy mouse deer in the wild for example are practically zero. Of course that does not mean that zoo owners should not make every effort to make the conditions for the animals as humane as possible. 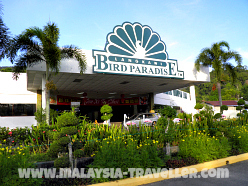 Langkawi Bird Paradise Wildlife Park has room for improvement in that respect. The exit to the zoo is through a Zon Duty Free store selling bottles of wines and spirits which might seem a bit odd for a wildlife park (but this is duty-free Langkawi!). There are other gift and souvenir shops and a café. Open Daily: 8.30am - 7pm (last entry 6pm). 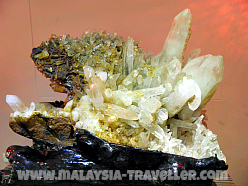 I have marked the location on the interactive map on my Top Langkawi Attractions page.